A trust is the transfer of assets to a trustee to manage during or after the death of the maker. The trustee must manage the property to reap the most benefits for the named beneficiaries or heirs within the control of the trust. Just like a will, the trust must be created during one’s lifetime. However, unlike a will, a trust can be effective during the lifetime of the maker. A trust that is effective during life is called an inter vivos trust while a trust that is effective only afterlife is a testamentary trust. An individual or a corporation can be a trustee. Not only must the trustee work in the best interests of the beneficiaries, but the trustee must also conform to tax and legal requirements. If you need help creating or managing your trust, you may want to think about paying for trust accounting. Here is some basic information about trust accounting. Trust accounting involves separating the expenses of a trust into different categories. This separation of expenses will help determine the proper treatment for tax and accounting purposes. If there are business expenses carried on by a trust, these expenses must be identified and offset against income when it comes to the calculation of overall business profits. Expenses that are related to a certain type of income need to be recorded separately as well. For example, expenses related to owned or rental property in a trust must be recorded separately. The expenses will be offset against the rent received from the property to calculate the net income. Expenses for trust management must also be recorded carefully. Some of these include legal, audit, accountancy, and insurance expenses related to management of the trust. The trustee needs to be able to identify the purpose of each incurred expense to ensure these expenses remain separate from business and property expenses. Unlike trust management expenses, the business and property expenses are incurred from earning an income. Law and the maker of a trust dictate the duties of the trustee. The trustee is responsible for making investments on behalf of the maker and beneficiaries. When making these investments, the trustee should show reasonable care to prevent the loss of assets. In order to carry out these duties sufficiently, a trustee should know the basics of trust accounting so that he or she can record the expenses and income of a trust. Administration of the trust prudently and in good faith when it comes to the needs of the heirs or beneficiaries. Proper handling of all tax matters related to the trust. Keeping of accurate and true accounts of all transactions with receipts, vouchers, and proof of payment as support. Ensuring that the trust account is always available to be inspected by the heirs or beneficiaries. While the trustee must not profit from the trust or deal or buy in the trust property with a personal account, the trustee is entitled to fair compensation for fulfilling their duties as a trustee. Either the law or the trust deed will dictate remuneration for the trustee. As you can see, the duties of a trustee are extensive. Therefore, as the maker of a trust, it is important that you choose a trustworthy person as a trustee. Not only should you consider personal integrity when choosing a trustee, but you must also consider knowledge of trust accounting. 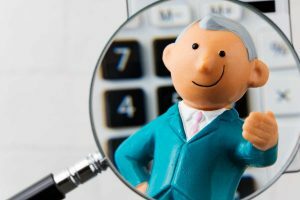 If you are having a hard time finding someone who is both trustworthy and knowledgeable about trust accounting, you should hire a trust accountant. Larry Bertsch is a Las Vegas CPA practicing in both the private and public fields since 1964. We offer a full range of accounting (including forensic accounting), tax preparation, and small business bookkeeping services at affordable fees. For more information about trust accounting, don’t hesitate to contact us. Offering a full range of small business accounting and financial management services.